The beer itself – one that continues Red Hill's fondness for Belgian style ales – was originally brewed for Belgian Beer Café Melbourne's Belgian National Day event that saw seven local breweries create new beers. 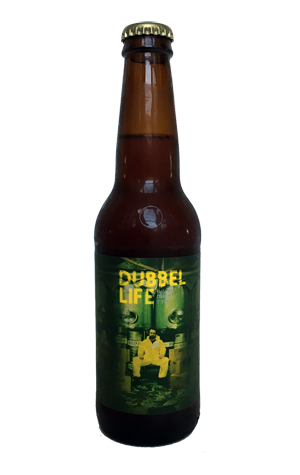 As the name suggests, it's a dubbel, one brewed with all Belgian malts and house made candi sugar (the rock cooked up by scientist Ajay that's the link to Walter White's activities). And it's a straightforward take on the style too: crème brûlée, dried dark fruit, toffee and a hint of banana make up the aroma, it's pretty light on the palate for its 7.1 percent ABV, there's a little toasty dryness at the end, a gentle warmth that builds over time and, unless you attempt a case on your own, makes for a far more sensible choice of recreation than crystal meth – blue or otherwise.